8 Augusta Court01263 715779work01603 870304fax Self-cateringNewly renovated, detached property, only a few minutes' walk from the independant shops, tea rooms and restaurants that make Sheringham such a charming town. The stunning beach is also just a short stroll away. 8 Augusta Court offers weekly bookings starting on Saturday. 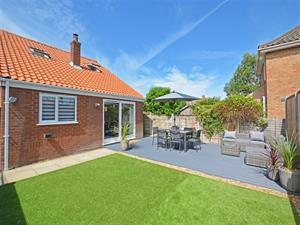 Newly renovated, detached property, only a few minutes' walk from the independant shops, tea rooms and restaurants that make Sheringham such a charming town. The stunning beach is also just a short stroll away.